Can A Collection Agency Call Me About A Debt At Any Time Or Any Place They Want? No, they may not. There are very specific rules governing what a debt collector can and can’t do when trying to collect on a debt. They are limited in the types of things that can be done, and if the collection agency violates those rules, there are damages that may need to be paid for the infraction. The area of law that governs the activities of a collection agency is the Fair Debt Collection Practices Act (FDCPA). This federal statute regulates how, when, and where they may collect. For example, Section 805 states that ‘… a debt collector may not communicate with a consumer in connection with the collection of any debt — (1) at any unusual time or place or a time or place known or which should be known to be inconvenient to the consumer. This generally means that the collector can call between the hours of 8am and 9pm. So if a collection agency is calling you at 6am in the morning, or at 11pm in the evening, then they are violating your rights. Section 805 (2) states the collector may not attempt communication “if the debt collector knows the consumer is represented by an attorney with respect to such debt and has knowledge of, or can readily ascertain, such attorney’s name and address.” So if you tell the collection agency that you have an attorney on the matter at hand, and they continue to contact you anyway, they have violated the law and your rights. Section 805 (3) states that the collection agency may not make contact “at the consumer’s place employment if the debt collector knows or has reason to know that the consumer’s employer prohibits the consumer from receiving such communication.” This obviously means that if the collector calls you at your job, and you tell him that he can’t call you again because your boss will get mad, and the collector nevertheless calls you, your rights have been violated. There is a fairly lengthy list of what the collection agencies cannot do when they attempt to collect on a debt. Even calling your cell phone is a violation of law (because you cannot be made to incur charges as a result of the collector’s activities, and most people have a plan with their cellular carrier in which they are charged for minutes used). But most people are unaware that such laws exist (of course, a great many of the collection agencies do not want you knowing that there are any consumer protection laws out there). If a violation can be shown to have occurred, then the debt collector must pay you $1,000 in damages. In addition, the debt collector must pay all of the attorney fees. What that means is that there will be no upfront cost to you for having your case filed by an attorney (most people get a wide smile on their face when I tell them that part). If you are suffering from a large debt load in addition to the collectors calling you non-stop, it is also possible to file a St. Louis Chapter 7 bankruptcy or a St. Louis Chapter 13 bankruptcy. These protective measures can get rid of your unsecured debts (such as credit cards, medical bills, payday loans, etc.) and save your secured assets (like a house or car). 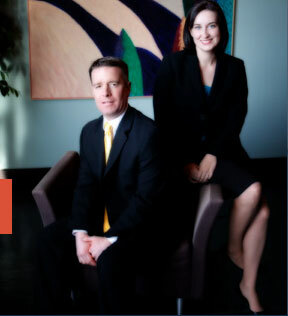 The affordable St. Louis bankruptcy attorneys at Brinkman & Alter, LLC have been making sure that our client’s interests are kept safe for years. Our goal is to guide you through the process from start to finish, and get you the fresh start / clean slate you deserve.